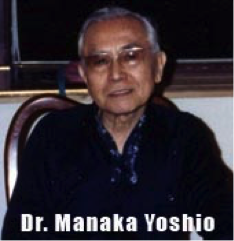 In the early 1990s, Dr. Miki Shima synthesized and further developed the work of Dr. Yoshio Manaka and the Topological Society. He called his approach SAT: Somato-Auricular Therapy. In this methodology, The “Somato” aspect combines Manaka’s Eight Extra Channel approach and the Topological Society’s Divergent Channel approach, which addresses root imbalances at a deep level. The “auricular” aspect addresses the branch complaints of the patient, and is based on the work of Paul Nogier and Terry Oleson. Dr. Shima refined, developed and presented this material over a number of years, between 1989 and 1996, mostly in the United States, during which time I studied his material. For Dr. Shima, the “Somato” portion depended on Akabane incense diagnosis, which proved cumbersome, time-consuming and painful, ultimately restricting any widespread application of his method. In the early 1990s, I had numerous correspondences with Dr. Shima imagining a computerized approach to the SAT diagnosis, allowing it to become easier to apply. At that time, no practical program existed. Over the last 10 years, we have seen the development of several computerized approaches to meridian diagnosis, which I have found accurate and and clinically useful. At first I used the MEAD (Meridian Energetic Analysis Device), a Taiwan computerized program (www.medpex.com.tw) available in the USA from avazzia.com. Although it has an excellent measuring probe, the software confines itself to comparisons of meridian excesses and deficiencies, with a relatively simple software analysis. Later, I was introduced to the AcuGraph (miridiatech.com), designed by Dr. Adrian Larsen. It also diagnoses meridian excesses and deficiencies, but has more thorough software programs that organize the analysis in different ways. Buried in their menus is Dr. Shima’s SAT diagnosis. While the AcuGraph is appealing to more and more acupuncturists in guiding meridian balancing, I have learned that very few practitioners are aware of Shima’s remarkable SAT protocol, or that the SAT protocol is available within the AcuGraph menus. Since discovering this myself a number of years ago, I have been endeavoring to go back to Dr. Shima’s material from the early 1990s, and putting into clinical application the Manaka-Shima approach, combined with my other training in meridian therapy (Keriaku Chiryo). I am calling this the Three Level Acupuncture Protocol. It diagnoses and balances three distinct acupuncture networks: the Primary channels, the Eight Extraordinary channels, and the Divergent channels. In the first stage of the 3-Level Protocol, we use non-needle teishintools to clear deeper excesses and deficiencies on the primary channels. Performed distal to the elbows and knees, this promotes the circulation of qiand blood. This is followed by needle treatment with ion-pumping cords to the Eight Extraordinary Channels, and then finally to the Divergent Channels. The 3-Level Protocol is completely based on Miki Shima’s SAT therapy, which in turn is based on Manaka and the Topological Society’s work. The Eight Extraordinary channels, according to Manaka, adjust and balance the musculoskeletal structure, while the Divergent channel treatment harmonizes the internal zang-fuorgans while releasing built-up or latent toxins. This is the three-level balance: qiand blood, musculo-skeletal, and internal organs. It is a very profound balance, fostering deep relaxation, enhancement of the immune system, and general improvement of vitality and health. In the 3-Level Protocol, we often include auricular therapy to reinforce the treatment and to address the patient’s main complaints, that is, the branch treatment. This also maintains the intent of Miki Shima’s original Somato-Auricular Therapy. Why is this “new life” for Miki Shima’s SAT therapy? Because the computerized analysis on the AcuGraph program makes this approach accessible – both quick and accurate. After an initial non-needle teishintechnique to balance the primary channels, we only use 8 needles to do the basic protocol: four points for the Eight Extraordinary Channel balance, and four points for the Divergent Channel balance. Each of the four pairs, performed on the arms and legs, uses ion-pumping cords attached to needles. Ion-pumping cords move places of excess to places of deficiency. (Ion-pumping cords are easily available from lhasaoms.com.) The computer program clearly indicates which needle receives the red “positive” clip, and which needle receives the “negative” clip. This foundation treatment can be followed by branch treatment using body points, or on acupuncture points or the ear. Kobei Akabane, writing in the 1940s and 1950s, developed a diagnostic technique where he would lightly stroke the jing-well points with an incense stick, and count the number of strokes it took to achieve a hot response. He would then compare these numbers to determine which meridians showed excess (fewer strokes for heat response) and which meridians showed deficiency (more strokes for heat response). Yoshio Nakatani, in the 1950s, discovered that acupuncture points had lowered electrical resistance when measured. He named these points Ryodoraku, meaning electro-conductive points.Looking for an alternative to Akabane’s incense diagnosis, Nakatani created Ryodoraku electro-meridian diagnosis in the 1950s. This became the predecessor of modern computerized meridian diagnosis, including the AcuGraph. Dr.YoshioManaka (1911-1989) was an extraordinary innovator of acupuncture techniques and diagnostics. He confirmed many of the theories and ideas of classical acupuncture by observing palpatory responses on the torso, channels and points. He also famously invented ion-pumping cords, which can be used to direct excess to deficiency on any two points, on any paired meridians, or even points on the same channel. One of his primary interests was the function of the Eight Extraordinary Channels. The Chinese classics look at these channels as a back-up reservoir for yuan-jing, important in development, growth and aging. Manaka saw them as a primary distribution pathway for qiand blood in the embryo, and then as the network that maintains the structural body throughout one’s life. He proposed an octahedral model that maintains body symmetry, seeing the eight extraordinary channels as “dividing lines capable of affecting structural changes as related to the octahedral topological model”. Relying on torso palpation for diagnosis, his eight extraordinary therapy balances the structure by using ion-pumping cords to move places of excess to places of deficiency. THE TOPOLOGICAL SOCIETY AND THE DEVELOPMENT OF DIVERGENT CHANNEL TREATMENT.The Japanese Topological Society developed around Dr. Manaka’s ideas, expanding therapeutic approaches and diagnostic techniques. They developed the Divergent Channel treatment as a way of using five-element channel combinations (eg, LI-LU, ST-SP, etc) to treat, enhance, and balance thezang-fuorgans for deeper and more chronic conditions. Divergent channel pathways were discussed in the classics, diving at the he-sea points at the elbows and knees, traveling through the paired organs (called Confluences), and then merging again at the neck and head. They were thought to protect internal organs from exogenous pathogenic influences, and to help internal organs share pathogenic burdens with their paired partner. Concrete therapies, however, were never established. Members in the Topological Society, who were all students of Akabane and Manaka, developed Divergent channel therapy, as well as promoting diagnostic and therapeutic ideas that would go on to influence a range of Japanese practitioners. Tadashi Irie(1927-2002), publishing in the 1970s and 1980s, developed Omura’s O-ring muscle testing and developed Manaka’s use of magnets for diagnostics as well as therapy. 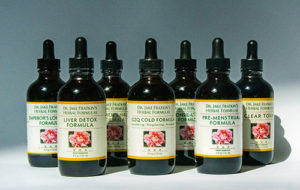 Irie studied the obscure, classical system of the Divergent channels, and proposed a method to use them therapeutically. He utilized Akabane incense diagnosis on the jing-well points to make calculations prioritizing primary and secondary Divergent channel pair imbalances. Irie recommended combining neck/head points with points on the extremities with ion-pumping cords in order to affect the balance of the divergent pairs (ST-SP, LI-LU, etc.). 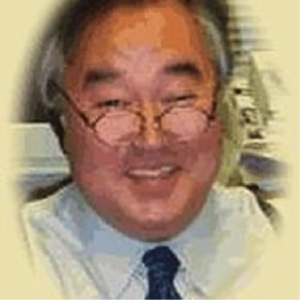 Kodo Seki worked closely with Tadashi Irie to develop Divergent channel therapy. He recommended yuan-source points as the extremity distal point reflecting his belief that yuan-jingplayed a role in divergent channel therapy. Seki advocated using either electro-stim or ion-pumping cords between master and coupled points. He prioritized yinchannels that were deficient, and yangchannels that were excess. He would also later propose running an ion-pumping cord from GV 20 to CV 22, the polarity to be determined by O-ring testing. Kazuto Miyawaki continued work on divergent channel and eight extraordinary channel therapy. He proposed including new eight extra pairs so that all 12 channels could be part of the eight extra channel structural network. Dr. Miki Shima (1948-), residing in California, followed the published work of the Topological Society since 1978. He was most influenced by Irie, continuing Akabane diagnostic technique and therapeutics for the Eight Extraordinary and Divergent channel therapy. He also promoted key discoveries of the Topological Society to American students, including O-ring testing, use of electro-stim, use of magnets for diagnosis and treatment,use of hinaishinand magrain pellets,use of ion-pumping cords,and use of gold and silver needles. He also promoted the auriculotherapy work of Dr. Terry Oelson and Dr. Paul Nogier. Shima defined three groups of acupuncture channels as affecting three different levels of the body: the ectodermal level affects the surface; it depends on the primary channels. Themesodermal level affects the musculoskeletal structure; it depends on the eight extraordinary channels. Theendodermal affects the internal organs; and depends on the divergent channels. This, of course, is the foundation for the 3-Level Acupuncture Protocol. Ironically, the California Acupuncture Board in the 1990s, run at the time by conservative and rigid practitioners, refused to acknowledge the newer Japanese methods as “real acupuncture” and actually banned the use of ion-pumping cords and magnets. Miki transitioned to using gold and silver needles exclusively to effect movement from an excess channel to a deficient channel. But the Topological Society’s original intention was needle and ion-pumping cords, which I believe should be the preferred method, and of course today is widely permitted. APPLYING ACUGRAPH DIAGNOSIS TO THE 3-LEVEL ACUPUNCTURE PROTOCOL. Miki Shima’s Somato-Auricular Therapy never became deeply established in the United States, not least because the Akabane incense diagnosis was painful and cumbersome. AcuGraph computerized diagnosis reverses this situation, opening up SAT, and by extension, the 3-Level Protocol, to many acupuncturists. The AcuGraph uses a probe hooked up to a computer program to measure relative electrical levels of the points along the meridians. While Akabane practitioners traditionally use the jing-well points, most AcuGraph users diagnose at the yuan-source points. 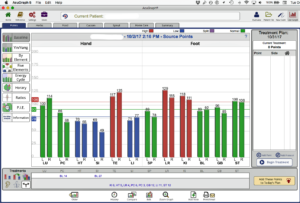 Meridian imbalances are analyzed and displayed by color code: excesses show as red bars, deficiencies show as blue bars, and splits (one normal, one not) will show purple. The remaining green bars are considered average. Meridians can be compared in various ways: hand versus foot, yinversus yang, the bioclock sequence, five-element, and even midday-midnight. The practitioner can use the information however he/she likes, and the software will also propose a variety of treatment options. As far as the 3-Level Protocol goes, buried in the AcuGraph treatment icons is a small icon indicating “Divergent treatment”. The AcuGraph spells out the prioritized pairings for both the Eight Extraordinary channels and the Divergent channels by doing the following. We highlight the Divergent icon in the lower left side of the screen, then, on the lower right hand side on the screen, press “Add these points to today’s plan”. The area above the right side will now display 12-14 point recommendations, in combinations of two: one red and one blue. In the AcuGraph “Divergent menu” (which actually includes both the Eight Extraordinary treatment as well as Divergent treatment), red numbers indicate which points to tonify, and to use the red end of the ion-pumping cord clip. Black numbers indicate the points to be sedated, using the black end of the clips. These cords have a unilateral movement of electrons, and will direct the excess energy of one needle (the black) to go in the direction of the deficient needle (the red). Once that is in place, we do the same for the four points recommended for the Divergent channel treatment, directing an excess point towards a deficient point. Manaka had suggested that 10 minutes after the last pair is hooked up is sufficient for the whole treatment. Once the eight needles are in place with cords, I am free to add any other treatment protocol that I want. In the 3 –Level Protocol, I recommend reinforcing the basic treatment with ear treatment using laser devices, needles, pellets or seeds. *For BL 40, I substitute BL 64 (the yuan-source point). To avoid bruising, I substitute BL 2 for BL 1, and ST 2 for ST 1. For ST 2, I do not use a needle, but I paper-tape the clip-end of the ion-pumping cord onto the face without a needle. This is a general introduction to my 3-Level Acupuncture Protocol. It is dependent on the AcuGraph computerized system, and it is based on Miki Shima’s Somato-Auricular Therapy, which in turn is based on the work of Kobei Akabane, Yoshio Manaka and the Topological Society, dating back to the 1970s. Over the last number of years that I have been putting this into practice, I have seen profound transformations of the patient’s energetic field in terms of enhancement of immunity and vitality, and correction of chronic and acute conditions. The patient often reports deep relaxation and even emotional/energetic transformation while experiencing the treatment. With computerized diagnosis and calculation, this whole unique lineage in Japanese acupuncture can have new life, and benefit many more patients. Jake Paul Fratkin, OMD, L.Ac.has been studying, practicing and teaching various styles of Japanese acupuncture since 1975. He lives in Boulder, Colorado where he maintains a private practice using Japanese acupuncture, Traditional Chinese Herbal Medicine, and Functional Medicine. He specializes in internal disorders, infections, and pediatrics.